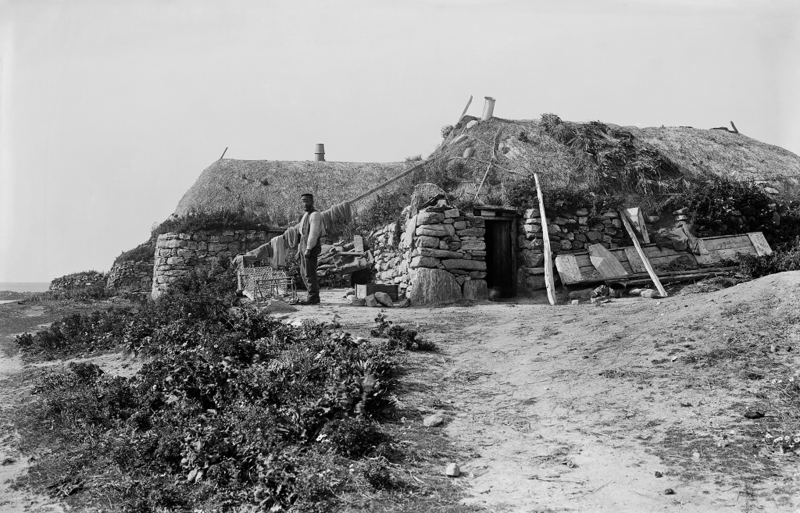 Until the mid 20th century, life in the Scottish Western Isles was very different to that of the mainland. 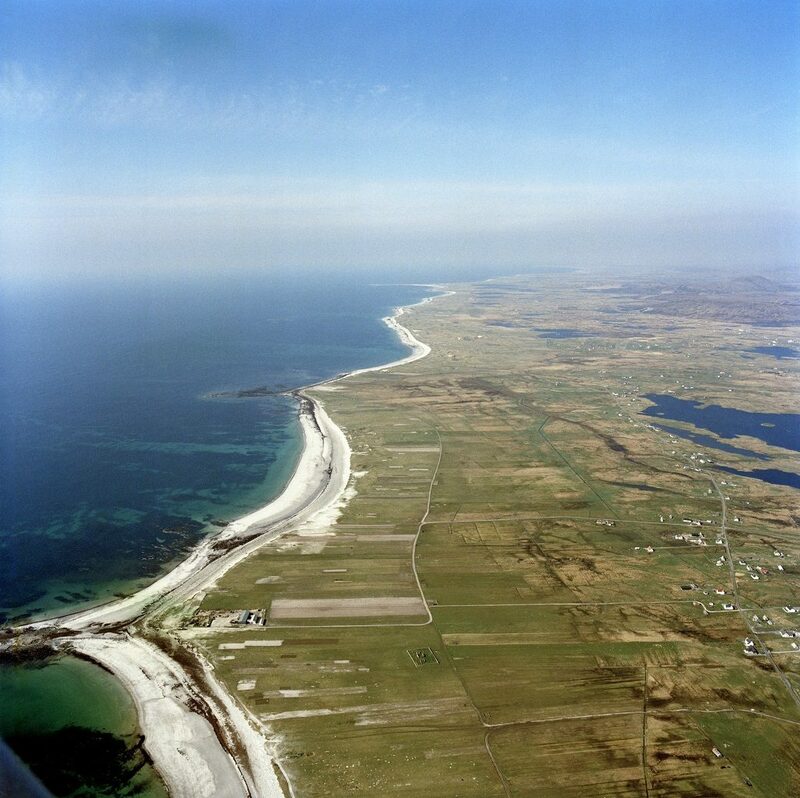 As recently as 1956 a Hansard parliamentary minute noted North Uist still had no electricity. 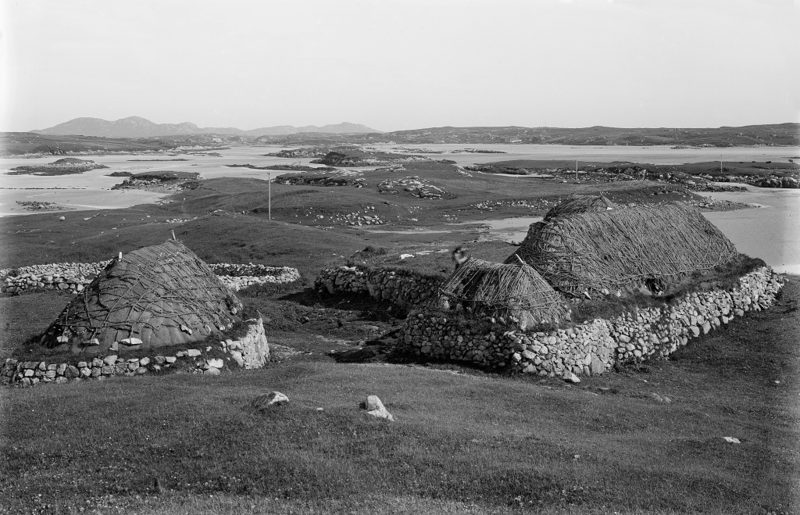 As part of the Heritage Awareness Day countdown, we delved into our archives to bring Western Isles heritage to life. For my Grandmother, born on Berneray in 1887, daily life was inseparable from the land and seasons. All her food was locally sourced – she didn’t know any other way. In her small walled garden, or larach, she grew vegetables. These included spinach beet, leeks, onions and carrots. Out on the machair, the low fertile plain which is a feature of the Western Isles, she planted potatoes. The taste of an island potato, grown in soil that is virtually sand and fertilised with seaweed, is wonderful. In summer she collected nettles and mint. She hung them to dry so they could be used for tea in winter. In the 21st century we can eat what we like out of season. We can have our mint tea flown half way round the world if we choose. Then, every part of an animal was used. My grandmother had butchery tools and would make ‘potted head’, a delicacy which was boiled, shredded cow’s cheek. Ceann Cropaig is a cod’s head stuffed with the fish’s liver, oatmeal, suet, pepper and onions. It’s called Crappit Heid in Scots, which some say suits it better. Either way, it was a good way of using leftovers in fishing communities. My grandmother didn’t find the sight of boiled fish head very appetising. She made hers in sausage casings. She also gathered carrageen seaweed (sometimes called Irish moss) from the rocks, and used it to set milk puddings and jellies. Even the energy contained in the embers of her open fire didn’t go unused! She banked them up and thrust in a lidded cast-iron pot, baking a sponge cake inside with no need for an oven. Shipping luxuries to the island was expensive for my grandmother, but she saw little need to do so. After all, she could walk out of her door and collect cockles, razor clams, scallops and whelks! This is not to romanticise this type of life, though. It wasn’t easy. Everything was kept. On treeless islands, driftwood was collected to make and repair roof struts. Pieces of whalebone were used to build the thatched black-house roof. Sometimes, when a family moved house, they took their roof with them. The materials in it were precious, and could take a long time to collect. 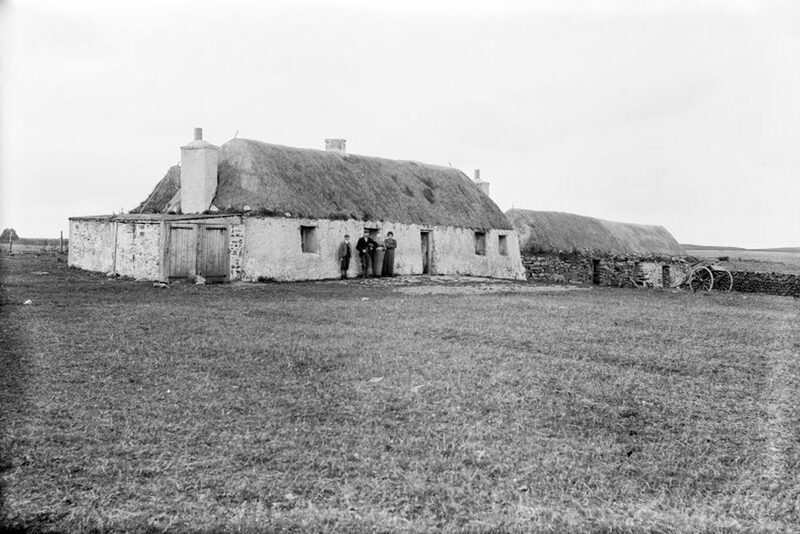 Back then, Marram grass was used to thatch the roofs. 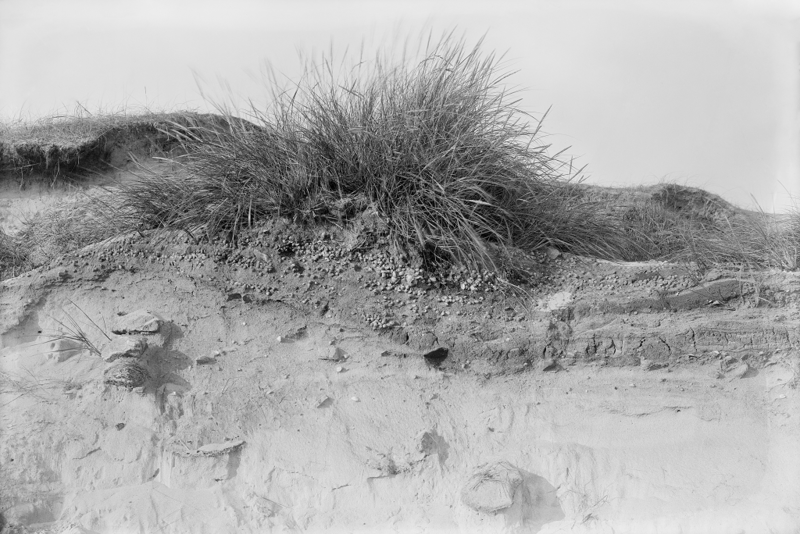 These days, due to dune destabilising, reeds and thatchers often come from Eastern Europe. This loss of traditional skills is something we’re looking at. ‘Now, if there’s anything you need, anything at all, just you come to me, and I’ll show you how to do without it’. Perhaps the mother in law was being a little mischievous, but it’s not a bad philosophy. We could all probably learn to do with a little less, and use what we have a little more. In our draft Gaelic Language Plan, we aim to promote understanding of the language and culture by sharing stories like this one. Could we do more? Tell us your views. 6 October 2017 is Scotland’s first Heritage Awareness Day. 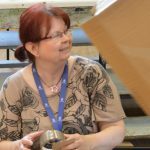 We’re asking people to share stories like this of places, people, tradition, language and experience. Find out how to get involved. Post àlainn! Chòrd sin rium agus sgaoil mi air duilleag Cheòlais son a chur air bheulaibh an t-sluaigh ann an Uibhist. Barrachd phostan mar seo, please!